I’ve decided to start a new section on this wooden dummy blog of mine – Greatest. I’ll be using it to catalog only the best of the best. These are the greatest items I’ve EVER found! With that said I’ll start this new category with tartar sauce, the greatest tartar sauce I’ve ever found (it’s spelled Tartar not Tartare sauce). If you aren’t familiar with the seafood sauce it is my favorite. I travelled to the Pacific Northwest to do some fishing this summer I was reminded of my great fondness for this Marina’s tartar sauce with dill relish! If you head out fishing and happen to catch a “Barn-Door” sized Halibut – release it (obviously take video and pictures first)! The smaller ones (less than 100 pounds) are the best for eating and they aren’t the egg producing females like the big ones. I have tried countless different brands (seriously nothing on any market shelf is worth your money) and searched for the best tartar sauce recipes to make great tartar sauces. The problem is that once you’ve had the best you want that great taste and perfect consistency that only comes with when you’ve found that perfect tartar sauce. goes perfectly with both the fish and the chips! Just imagine that perfect sit down with an impeccable basket of fish and chips – one of my most memorable is enjoying this in Gibraltar! Coconut Oil Fried Halibut – you guessed it – this seafood candy is put over the top with Marina’s amazing tartar sauce! Baked Red Snapper or Baked Halibut – bake these dishes with a bit of Olive oil and lemon juice. Add a side of Marina’s tartar sauce with dill and it makes each bite pop! So why the big deal? 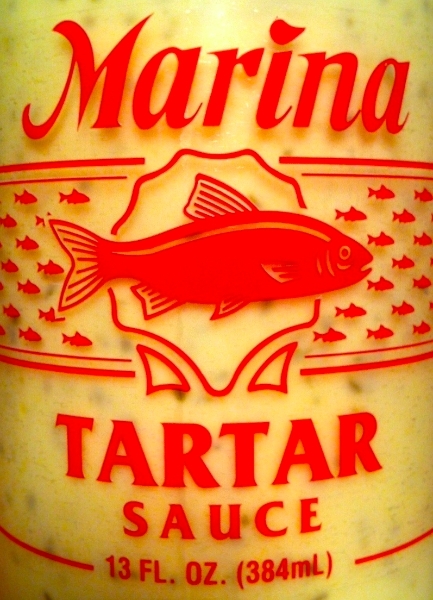 Well until recently I couldn’t get Marina Tartar Sauce anywhere but in the Pacific Northwest. It is produced by Northwest Gourmet Foods (a family run business) which is just one of the positive attributes that produces this fine sauce. I recently went so far as to get a shipment of 6 full jars of the stuff from a family member because the sauce is so good and wasn’t distributed outside that region (trust me I’ve looked). I recently found only one way to get Marina Tartar Sauce (other than begging a friend or family member in that region). One of my wishes is to enjoy a fresh batch of Marina Tartar Sauce – right after it is made with a perfect basket of Fish and Chips or that perfectly fried Halibut right out of the coconut oil! funny I always used to buy this sauce since I was a kid, but didn't think much of it as far as whether it was as good r better than any other kind. but recently, I was all said to pay$4 for a tiny jar of pike place market tarter sauce which I thought must be good, but then saw marina's and since it was a very big jar for the same price I bought it. it really is very good tarter sauce. better than nalley's or many others which taste artificial, even if they have the same type ingredients. it's really quality stuff if you read the ingredient label and not too much sugar or salt.